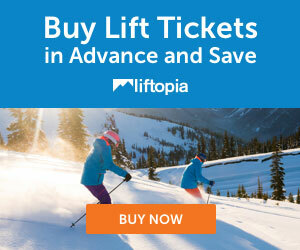 DEAL: One to Four Day discount ski tickets at up to a 38% discount! Check out our great Hotel picks and by owner vacation rentals for Monarch! 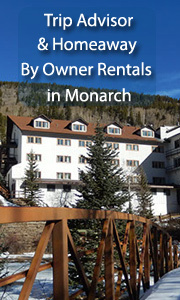 We offer discounts on ski tickets, ski rentals, lodging, by owner rentals, and apres ski ideas for Monarch, Colorado. Monarch is 30 minutes from Crested Butte. People often ski both! So check the deals on our Crested Butte site and plan your ski trip! And don't tell anyone! Monarch is kind of a secret! 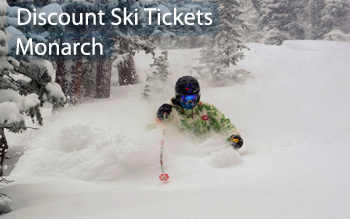 Monarch - discount ski tickets for the current ski season-one to 4 day discounted ski tix for 2018-2019 season! See All Our Great Hotels in Monarch! 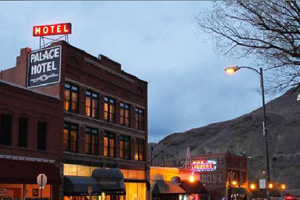 Featured: Palace Hotel - Book it! 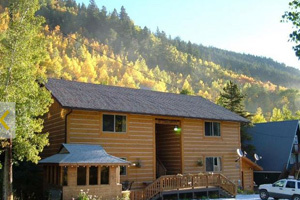 Featured: Ski Town Condos- 2 bedroom, 1 bath, Slps 4- from $150/nt - Book it! Apres Ski Ideas - near Monarch! Monarch is about 20 miles west of Salida. 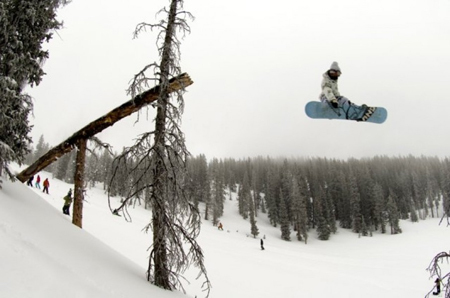 Many Colorado residents think of Monarch as Colorado’s best-kept secret due to its fantastic terrain and lack of crowds. Add the fact that Monarch gets more than 350 inches of snowfall a year, and you can see why it is a premier resort for those who are all about the skiing and riding. Monarch also has a terrain park and plenty of beginner runs.